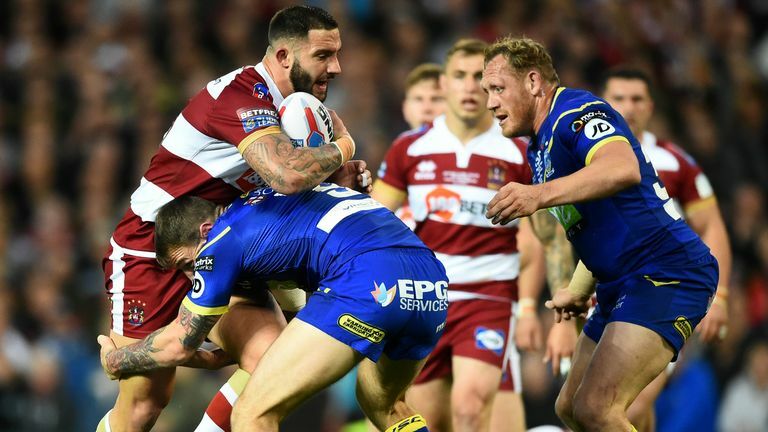 Sean O'Loughlin has signed a one-year contract extension with Super League champions Wigan Warriors to extend his spell at the club into a 17th year. The 35-year old, who captained Warriors to Grand Final glory at Old Trafford earlier in October, has signed a new deal with a view to becoming part of the club's coaching staff when he retires from playing. One of the most successful captains in Wigan's history, O'Loughlin has skippered them to four Super League titles, two Challenge Cups and a World Club Challenge title since being made captain in 2006. "I came to the decision that I'd like to play on and I'm very grateful to the club for giving me the opportunity to do so," O'Loughlin told the club's official website. "It is no secret that I've always wanted to play for this club, so I'm delighted to be able to extend my career here next season. "Coaching is a route I have always wanted to go down so I'm also happy to have the opportunity to do so after I've retired. "As a club we are starting a new chapter with [head coach] Adrian [Lam] and I'm looking forward to helping the team defend our Super League title in 2019." England captain Sean O'Loughlin has been ruled out of Sunday's second Test against New Zealand with a calf injury. Wigan executive director Kris Radlinski is also delighted O'Loughlin has opted to extend his playing career by a further year before taking on a coaching role. "Sean O'Loughlin is a modern day great in our sport and is justifiably seen as a legend of Wigan Warriors," said Radlinski. "His influence, professionalism and knowledge are crucial attributes that we were desperate to keep at the club, so we are delighted that despite some handsome offers from big teams in Super League, Sean has put pen to paper to see out his career at the club in which he has represented with such distinction. "The headline news will be Sean's one-year deal to prolong his playing career, but we are equally excited to see Sean carve out a coaching career with the Warriors as we help one of our greats prepare for life after rugby. "We have been very fortunate to have Sean and it's brilliant news that he'll remain at Wigan Warriors."